หลักสูตรนี้ เป็นการผสมผสานความรู้ 2 ศาสตร์ คือด้าน Finance กับ Psychology วิชาหลักของสาขานี้คือ This programme provides a masters-level education with particular focus on Behavioural Finance, an interdisciplinary field which integrates psychology and financial economics. 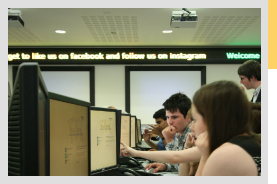 “Our three dealing rooms, all sponsored by Thomson Reuters, have always been an integral part of our teaching and learning style – our technology and facilities allow students to put theory into practice. 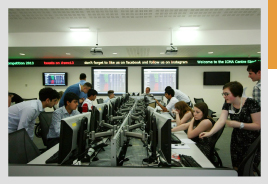 As part of their coursework they experience the thrill and pressures of a live market – take positions, quote two-way prices and manage the risk of a $50-100 million trading book. 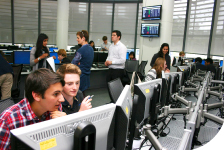 Students also manage multi-asset portfolio’s using live prices and the latest investment management technology. 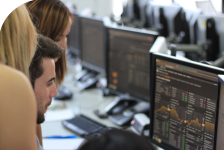 Having these essential practical skills in today’s competitive and uncertain environment gives our students the edge over more traditional finance degrees. หลักสูตรนี้ เน้น เนื้อหาสาเหตุและผลที่ตามมาของความเสี่ยงในตลาดทุน ความเข้าใจระดับลึกเกี่ยวกับความล้มเหลวของตลาดทุน กฏหมายและข้อบังคับของภาครัฐ บทบาท โครงสร้างและความรับผิดชอบ ของหน่วยงานที่เกี่ยวเนื่องและควบคุมกลไกของตลาดทุน เช่น the Basel Committee on Banking Supervision, IAIS, IOSCO, European Systemic Risk Board, SEC, FINRA, UK FSA and its successors, Bank of England and other central banks, EBA, ESMA, EIOPA, BaFin, global, regional and national regulators. หลักสูตรเน้นสร้างความเข้าใจเชิงลึกเกี่ยวกับความสัมพันธ์ของการขนส่งทางเรือและตลาดการเงิน กลไกการค้าเหนือทะเลและแผนการการลงทุนที่มีประสิทธิภาพ The MSc in International Shipping and Finance is designed to address the needs of the rapidly evolving, highly competitive and capital-intensive shipping industry. • the International Capital Markets Association (ICMA). หลักสูตรเฉพาะทางสำหรับผู้ที่ประสงค์เรียนเจาะจงทางด้านการเงินที่เกี่ยวเนื่องกับธุรกิจอสังหาริมทรัพย์ Managed by the School of Real Estate and Planning, this 12-month degree will help you understand real estate in the context of the international financial markets. 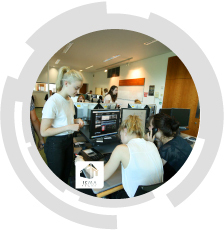 It is designed to prepare you for a career in finance or investment management where you will be required to evaluate property investments against equity, fixed income and other financial derivative products. • the Royal Institution of Chartered Surveyors (RICS). It is also recognised by the Investment Property Forum, the leading industry body in real estate investment in the UK, enabling fast tracked membership of the IPF. หลักสูตรนี้เป็น หลักสูตรที่ได้รับการนับถืออย่างมากในทวีปยุโรป ให้ความรู้ที่ครอบคลุมด้านการลงทุนทางการเงิน เหมาะสำหรับผู้ที่ต้องการทำงานในตลาดการลงทุน อย่างประสบความสำเร็จ This degree is widely regarded as one of the leading applied finance programmes in Europe. It has been specially designed with the support of industry practitioners to equip you with the skills and knowledge needed to succeed in the challenging field of investment banking. หลักสูตรนี้เน้น แหล่งเงิน และ โครงสร้างเงินทุน ของบริษัทมหาชน และการบริหาร เงินเพื่อเพิ่มมูลค่าขององค์กร This degree offers an introduction to all aspects of the dynamic sector of corporate finance. Students will gain an understanding of the wide range of corporate finance services and corporate transactions businesses face. • Association of Corporate Treasurers (ACT) Certificate in Corporate Finance and Funding Students can enrol on the certificate at a reduced cost and study online for the qualification. หลักสูตรการจัดการความเสี่ยงทางการเงินเป็นหลักสูตรที่ได้รับการยอมรับอย่างกว้างขวางและเป็นหลักสูตรแรกที่ได้รับการรับรองจาก by the Global Association of Risk Professionals (GARP)เป็นที่แรกของโลก. The degree syllabus is enhanced with the most up to date professional practices in the area of risk management, integrating applied academic knowledge to industry needs and providing a competitive advantage to the graduates. • ได้รับการยกเว้น GARP PRM EXAMS I and II นอกจากนี้ยังมีให้ความช่วยเหลือผูสำเร็จการศึกษาการการสอบ PRM Exams ขั้น 3 และ 4 อีกด้วย ICMA Centre MSc Financial Risk Management students are eligible for exemption from Exams I and II of PRM Certification. In addition MSc FRM students are provided with assistance to take PRM Exams III and IV. • เรียนเนื้อหา CFA Level 1 ควบคู่ในหลักสูตร Integral to the academic course is the parallel study of the Chartered Financial Analyst® (CFA® ) programme, level 1. 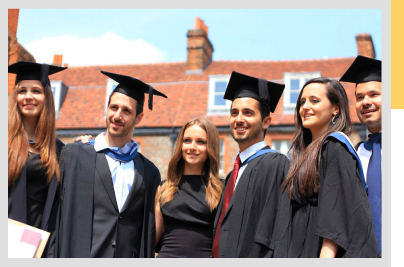 MSc International Business and Finance Click!! 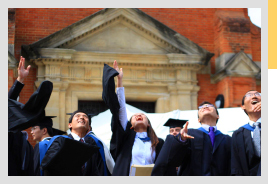 MSc Entrepreneurship and Financing Click! !